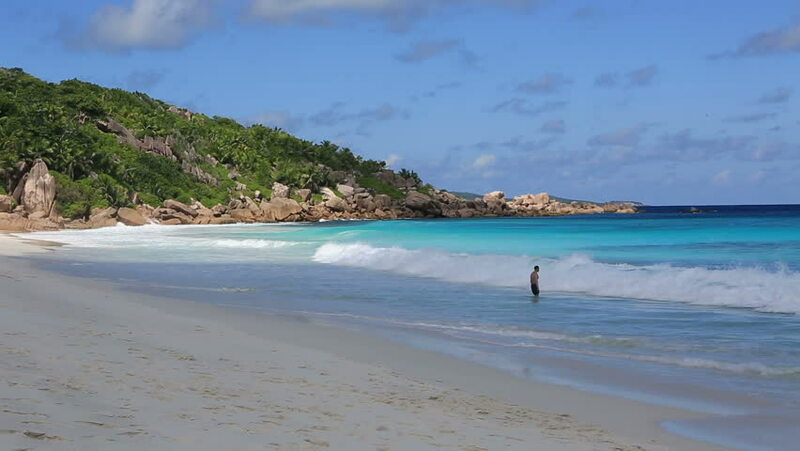 Beautiful beach Anse Petit. Island of La Digue in Seychelles. hd00:20beautiful scene, tropical sea and beach with blue sky background. hd00:20The Indian Ocean at the Seychelles Islands. The 115-island country, whose capital is Victoria, lies 1,500 kilometres east of mainland East Africa.